What is the "Four Winds" Limpia Session? When we share a life with the person we love, there are many ways that we can possibly connect, one of those is Sound. 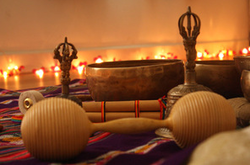 Sound can deeply connect two people at a subtle level, manifesting results at their emotional, physical and spiritual bodies, helping the relationship to improve and ease any blockages if there are. 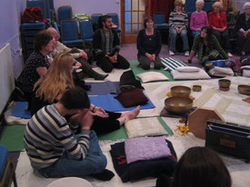 Group sound Journeys is an opportunity to experience the power of sound in a collective context, allowing the participants to be immersed by deep and powerful soundscapes, guiding to an inner journey, helping to amplify the vision of life in a wider scale, plus offering a very deep relaxing experience yet energizing and grounding.